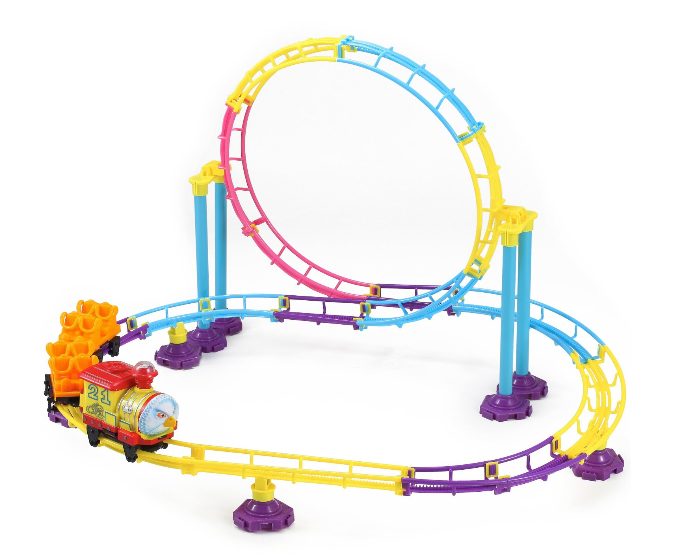 76-piece Park Roller Coaster Toy Building Set $13.95 + FREE Prime Shipping (Reg. $20)! You are here: Home / Great Deals / Amazon Deals / 76-piece Park Roller Coaster Toy Building Set $13.95 + FREE Prime Shipping (Reg. $20)! Your kids are sure to love building their own amusement park ride with this 76-piece Park Roller Coaster Toy Building Set! It’s priced at only $13.95 (Reg. $20) right now, too! Plus, FREE Shipping is available with Amazon Prime or FREE with orders of $35 or more (sign up for a FREE 1 month trial here)!